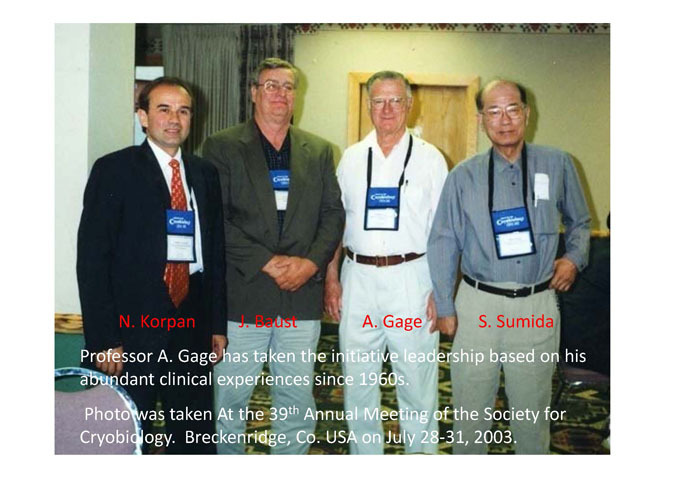 The First Winner of Award of Japanese Society of Coloproctology,1968, 4. 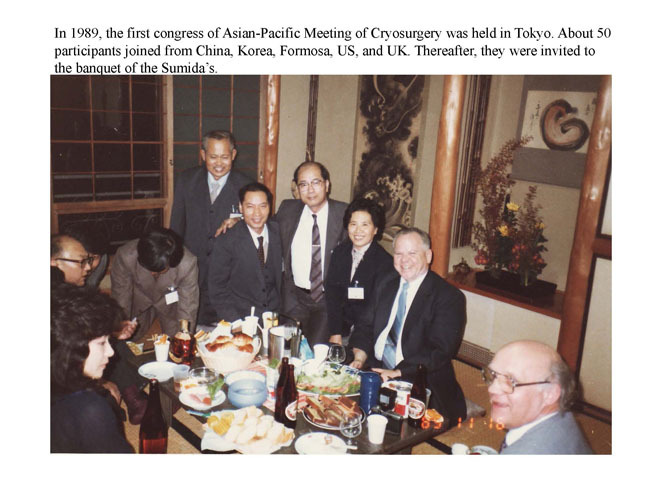 Shioda Award of the Ministry of Health and Welfare of Japan, 1973, 10. 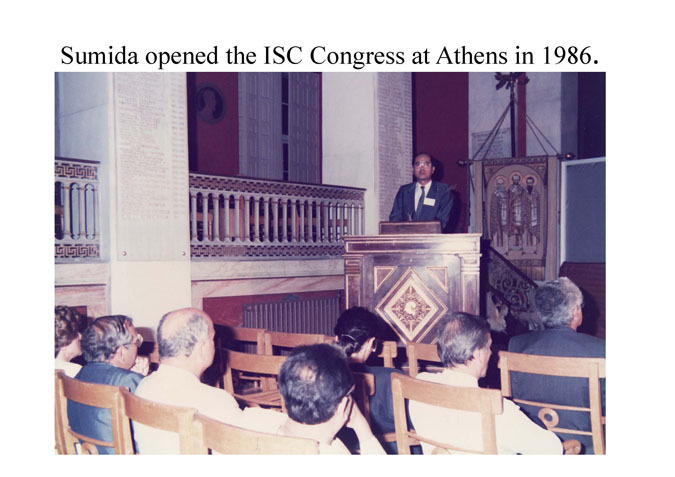 Ichimura Award of Japan Foundation for the New Technology, 1980, 4. 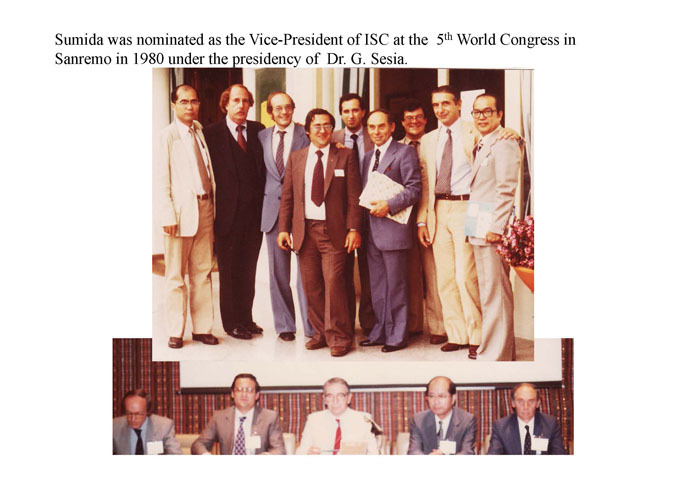 Honorary Member of International Institute of Refrigeration, 1987. 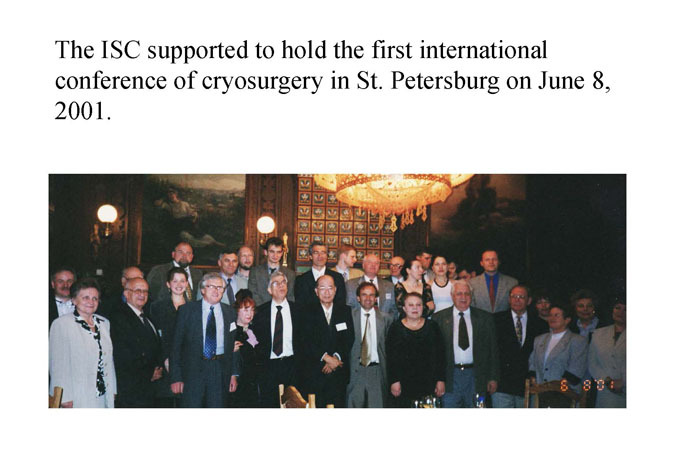 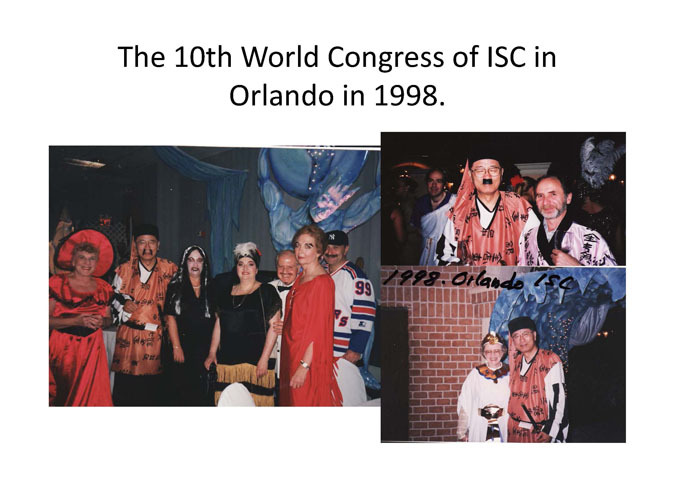 Honorary President of International Society of Cryosurgery, 1989. 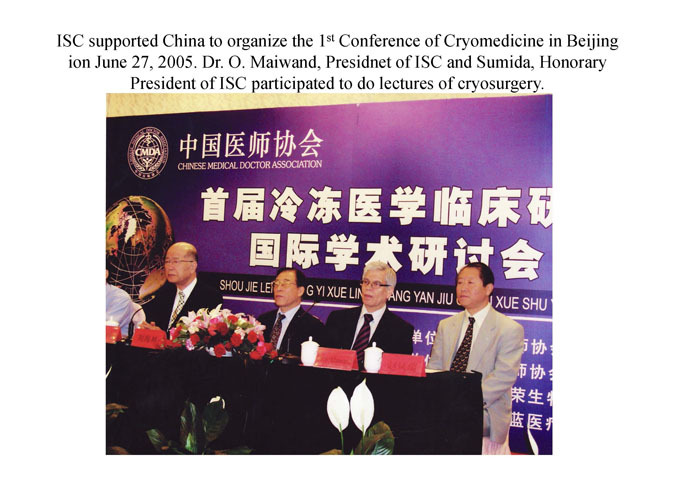 Honorary Fellow of Indian Cryogenic Council, 1988. 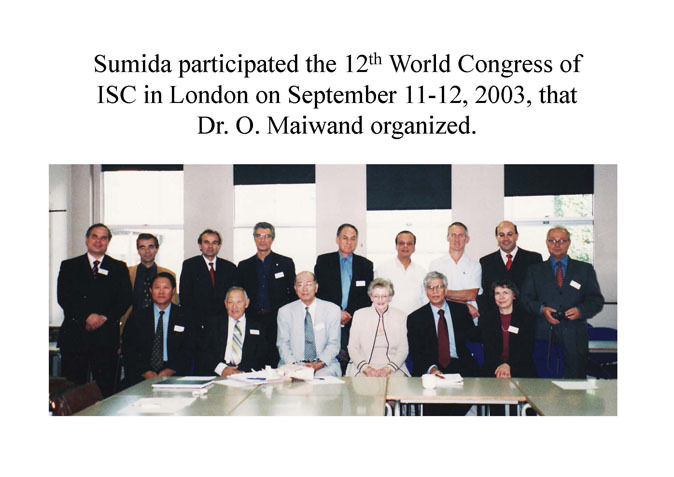 Honorary Member of Imperial Gift Foundation “Saiseikai”, 1997. 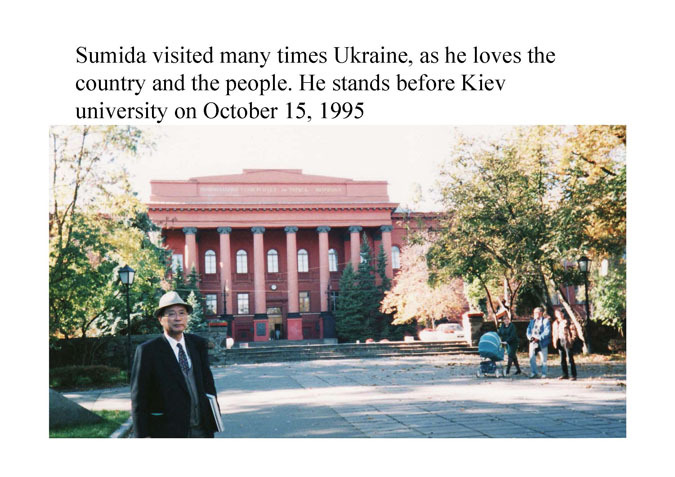 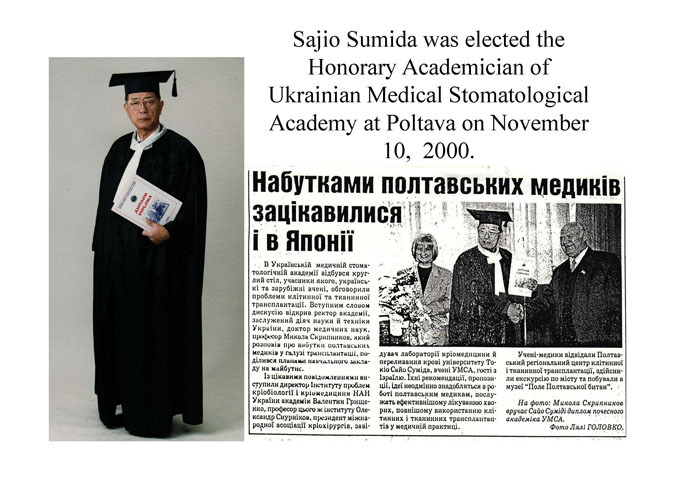 Honorary Academician of Ukraine Academy of Stomatology, 2000. 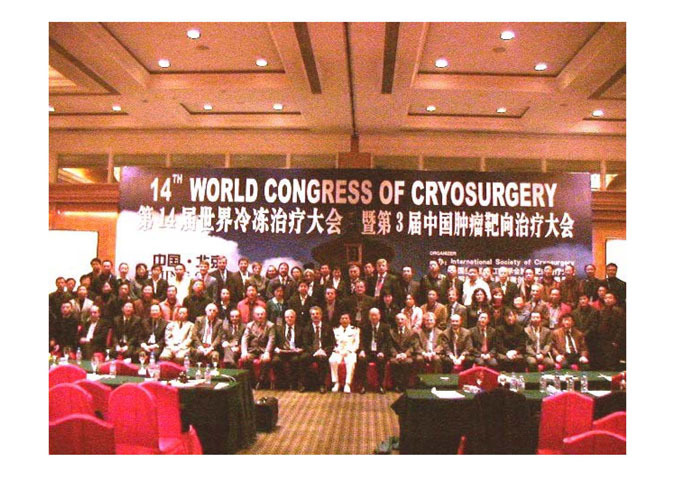 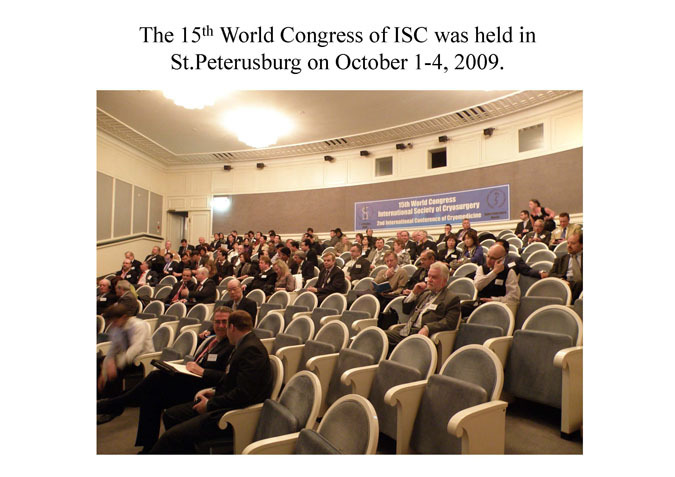 Fellow of the Society for Cryobiology, 2010. 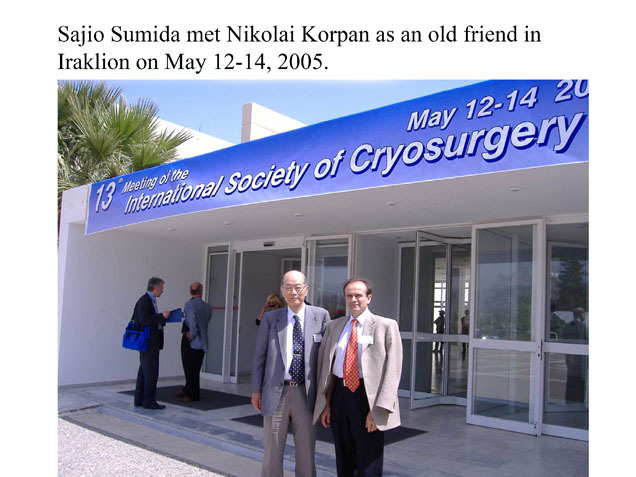 Honorary Cardiovascular Surgeon Certified by the Board of Japan Society of Cardiovascular Surgery, 2010..
Sumida S, Okuyama Y, Kamegai T. Serum hepatitis from frozen blood. 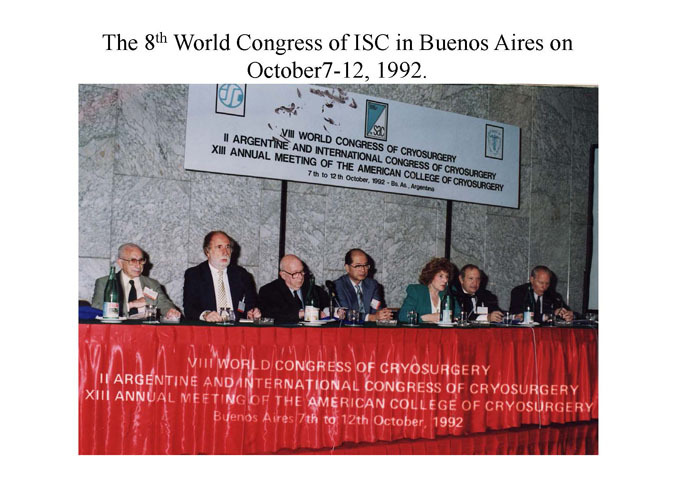 Lancet 1967;2:1255-1256. 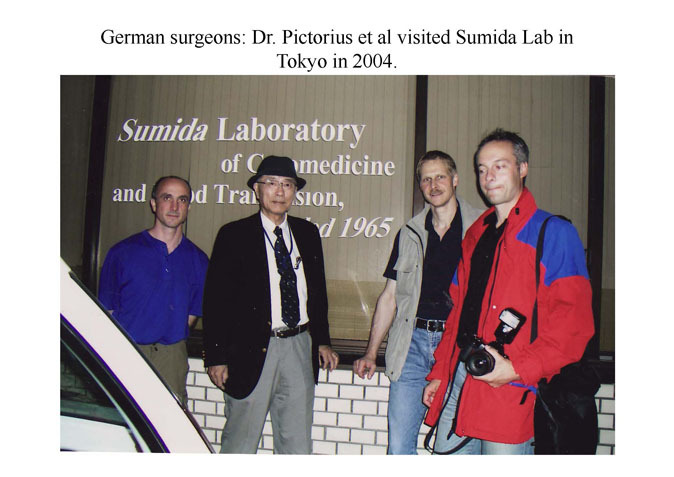 Sumida, S.: Frozen blood -Ten years of clinical experiences. 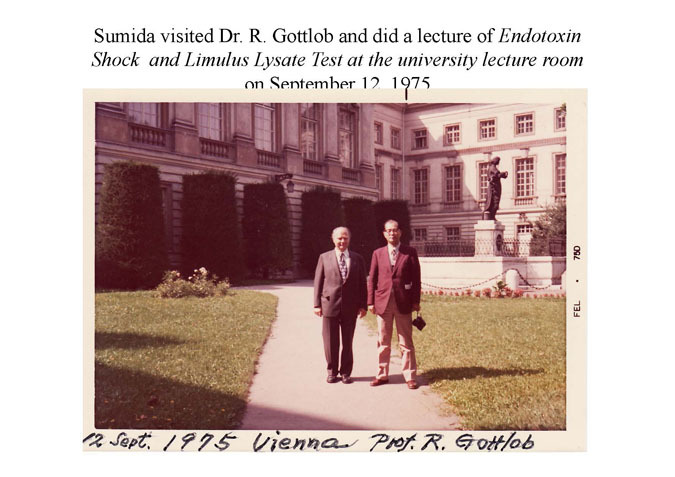 Low Temp Med 1975; 1(1): 7-14. 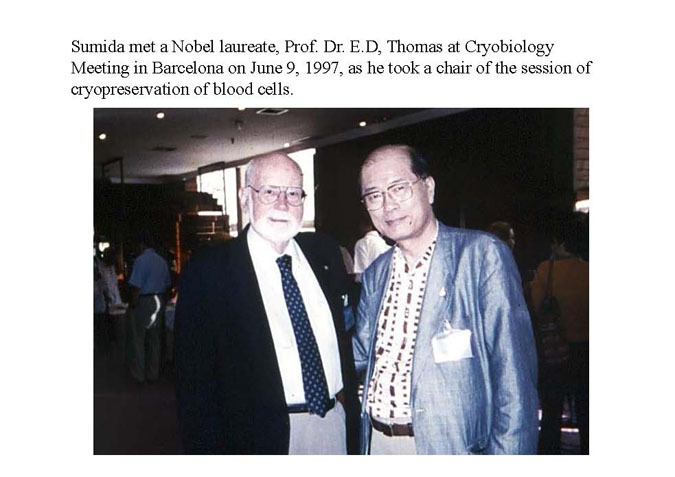 Sumida, S., and Sumida, M.: Frozen blood: HLA sensitization. 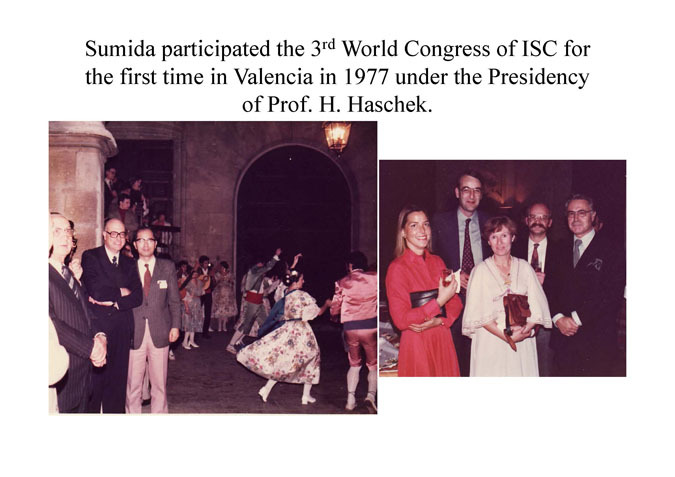 Low Temp Med 1975; 1(4): 3-7. 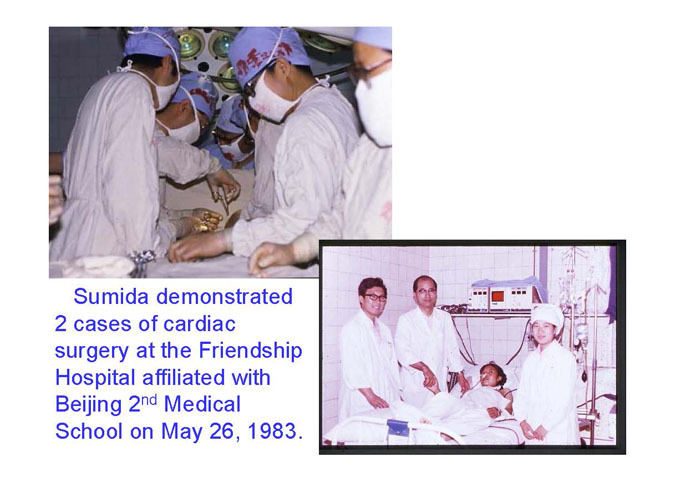 Sumida, S., and Yamaguchi, A.: Resumption of activity in spontaneous beating pieces and whole organs of rat heart after freezing for two years in liquid nitrogen. 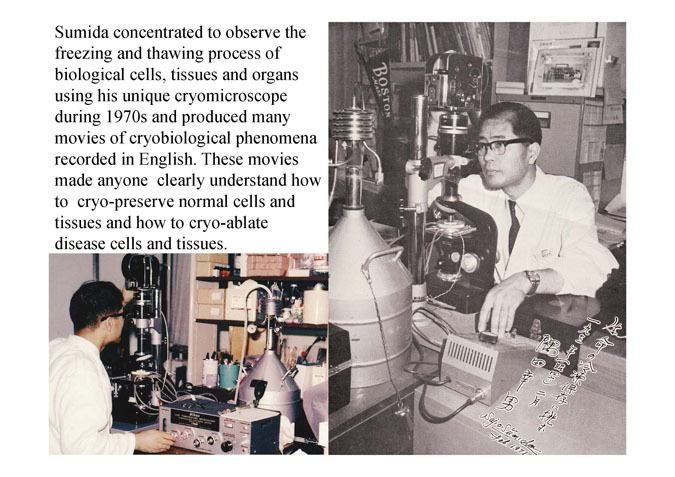 Low Temp Med 1975; 1(4): 265-274. 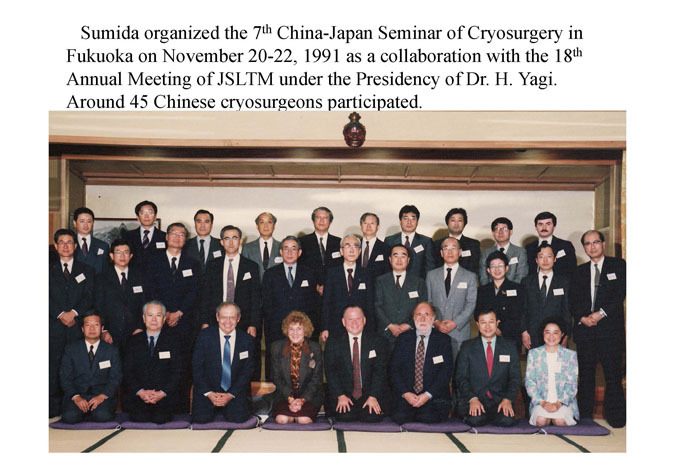 Sumida, S., Eto, S., and Morishige, F.: Combination therapy of megadose chemotherapy and frozen autologous marrow transplantation of patients with advanced solid cancer. 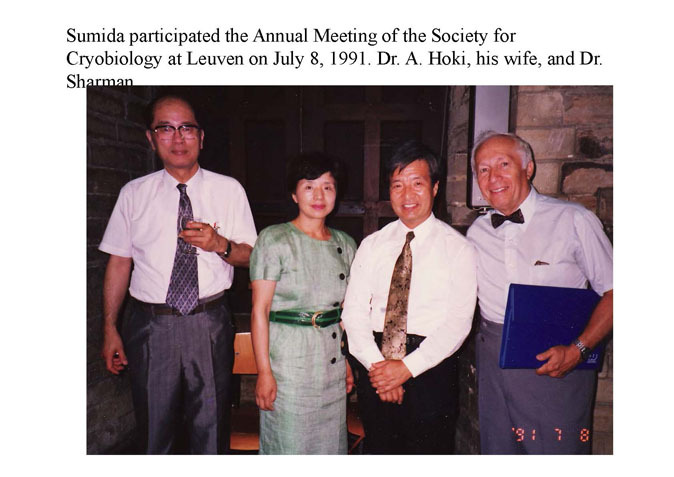 Low Temp Med 1984; 9(3): 43-46. 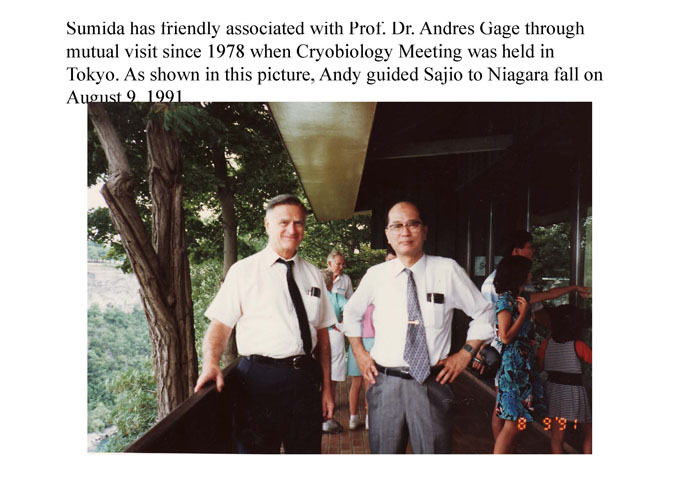 Sumida, S., Yamaguchi, A., and Kawata, H.: Fibrillation and contraction tracing from adult rat hearts after freezing in liquid nitrogen for ten years. 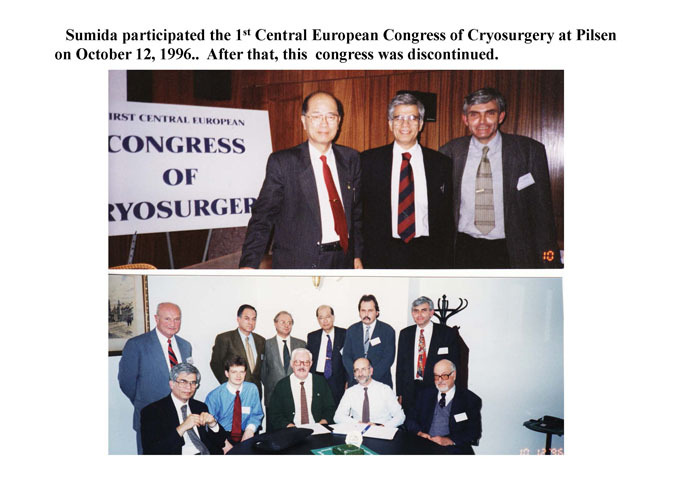 Low Temp Med 1984; 10(3): 47-51. 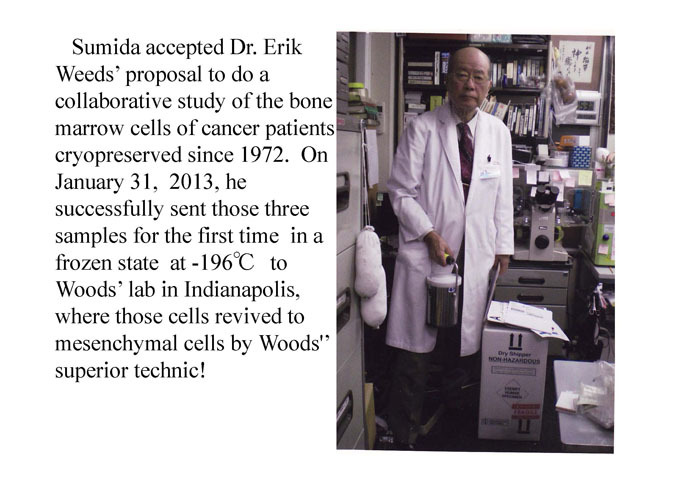 Sumida, S., Eto, S., and Morishige, F.: High-dose chemotherapy with frozen autologous marrow transplantation in patients with poor prognosis tumors. 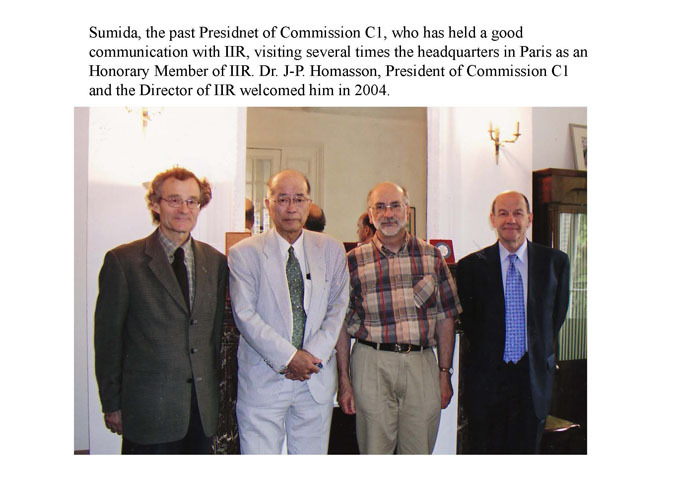 Jpn J Clin Oncol 1984; 14 (Suppl. 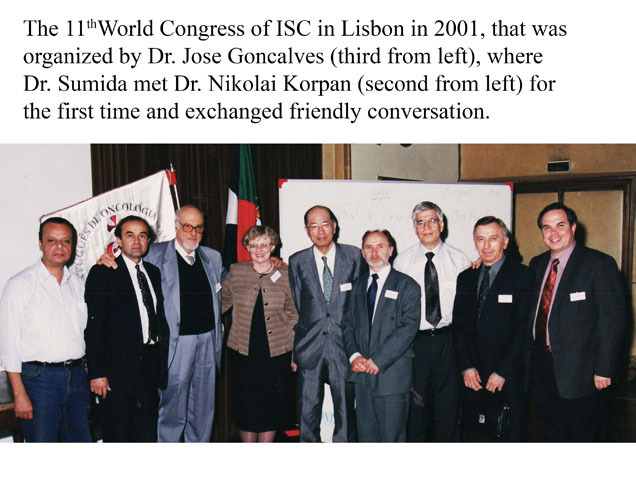 1): 553-562. 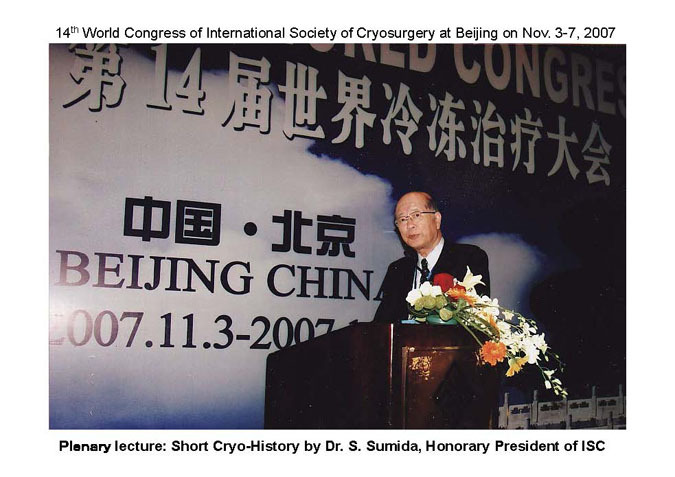 Sumida, S.: Transfusion of Blood Preserved by Freezing. 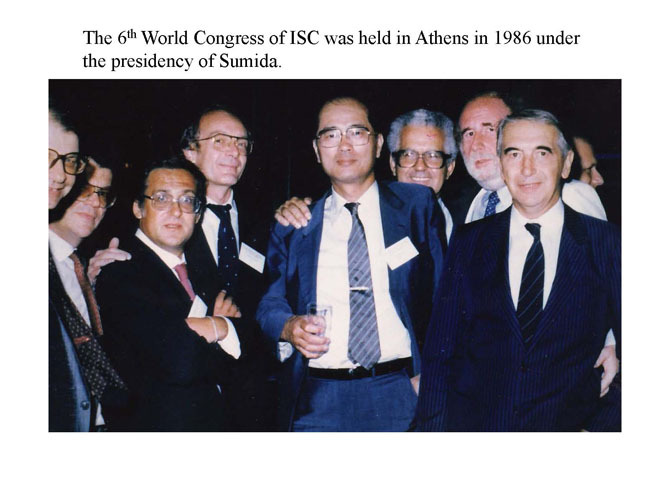 Igakushoin, Tokyo, J.B. Lippincott Co. Philadelphia and Toronto 1973, George Thieme Publishers, Stuttgart, 1974. 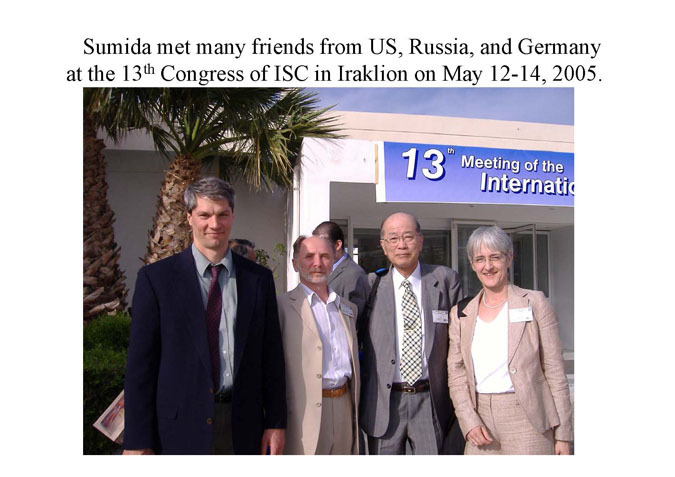 Sumida, S.: Current Diagnosis and Treatment of Shock. 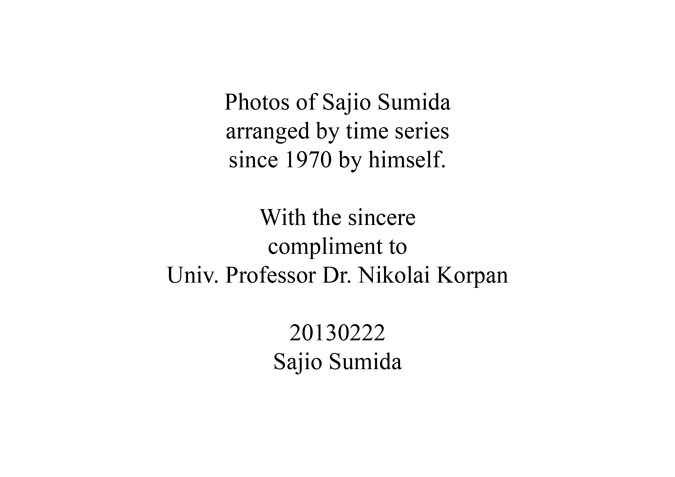 Kanehara Book Publishers, 1969, (in Japanese). 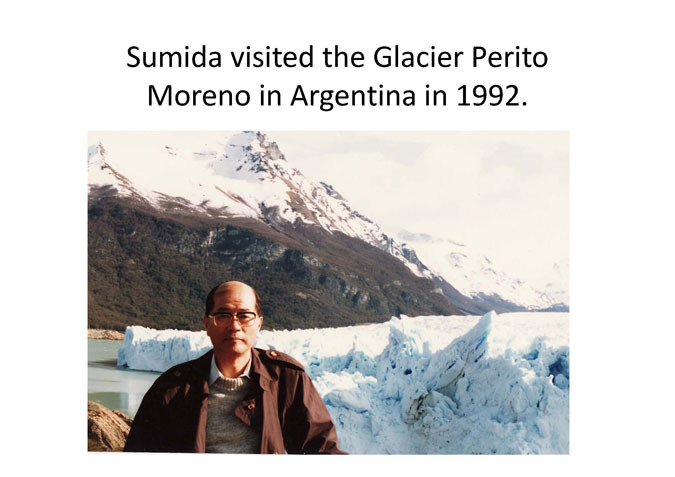 Sumida, S.: Frozen Blood, Nihon Ijishinposha Publishers, Tokyo, 1972, (in Japanese). 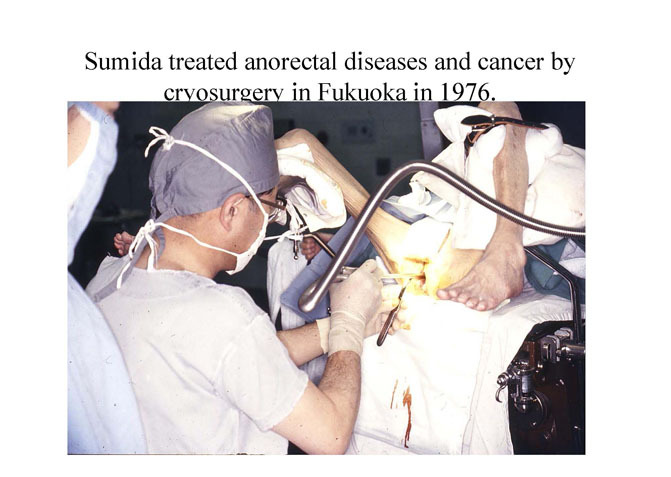 Sumida, S.: Treatment of Shock, Kanehara Book Publishers, Tokyo, 1972, (in Japanese). 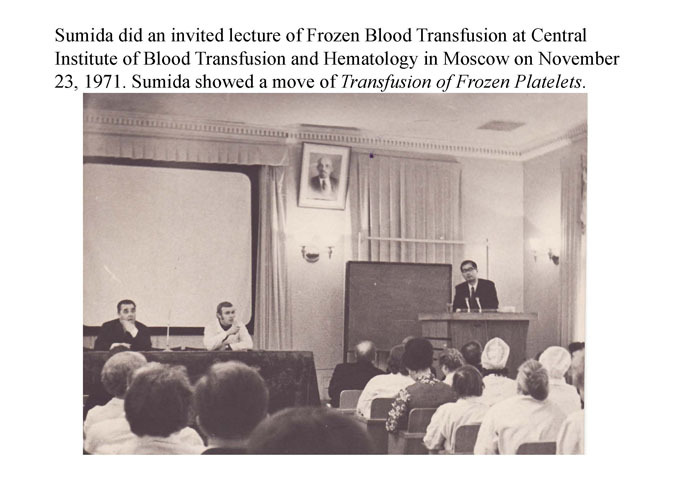 Sumida, S.: Blood Transfusion in Clinical Medicine, Kanehara Book Publishers, Tokyo, 1978 , (in Japanese). 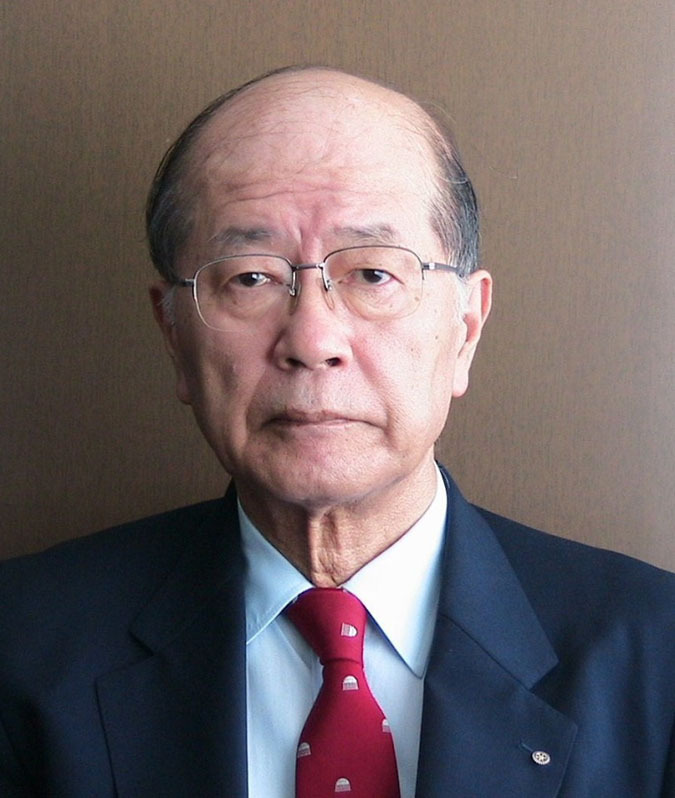 Sumida, S.: Transfusion Medicine in the New Millennium, Kanehara Book Publishers, Tokyo, 2000, (1200 pages, in Japanese). 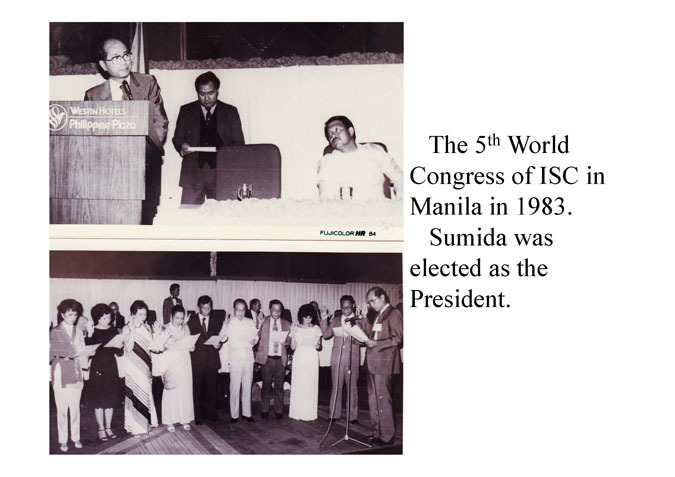 Sumida, S. and Padilla-Cruz, A Edited: Congress Proceedings of the 5th World Congress of Cryosurgery, The University Press, University of the Philippines System, Diliman, Quezon City, 1985. 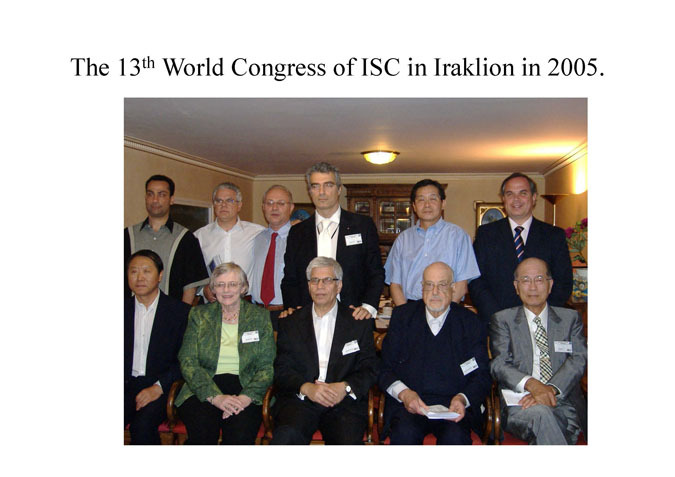 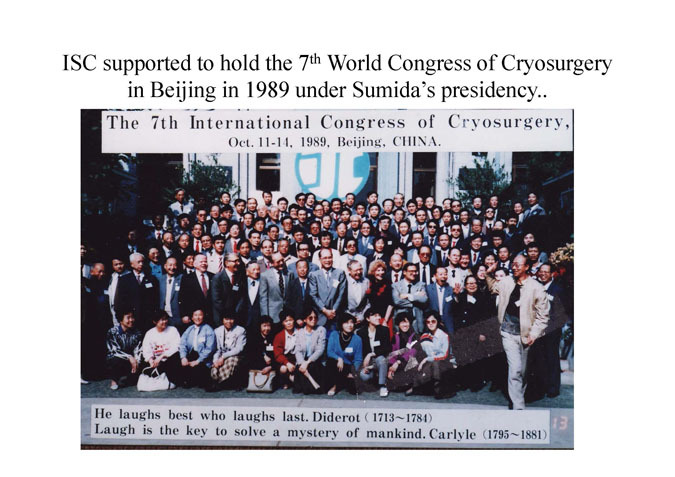 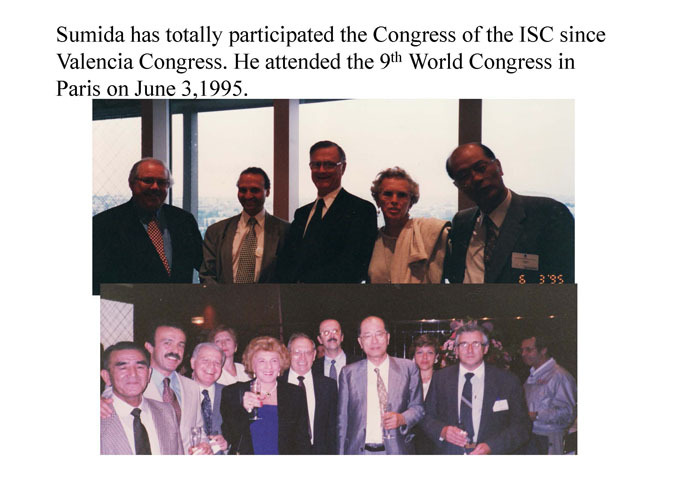 Sumida, S.: Cryomedicine, International Institute of Refrigeration, World Conference, Paris, June 18‐20, 1986.